shimmering in the distance as the sea first came into view. I remember the excitement of discovering new and diverse sights and experiences as my parents took us exploring all over the island. When Darrell and I married in 1990, his love affair with Jamaica began. 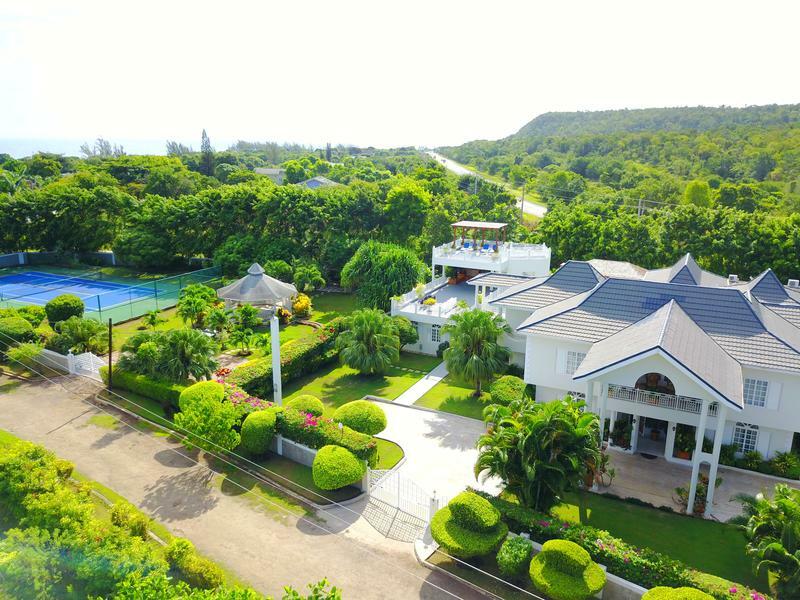 Over the years, we noticed that the weight of the ever popular all-inclusive resorts was becoming synonymous with a Jamaica vacation, slowly diminishing travelers' opportunities to experience Jamaica’s true culture and identity. As self-appointed ambassadors and advocates for preserving and embracing Jamaican culture, we set out to create a vacation experience that was deliberately different from the all-inclusive resorts. No-one should come to Jamaica and leave believing that Jamaica is only about sun, sea, and sand or rum, rasta, and reggae. Jamaica is so much more and we delight in sharing this experience with our guests through food, tours, art, the people and their culture. We created Mais Oui to be more than a home away from home. It was designed to be super comfortable and well equipped so that guests would not miss the hotel experience … "Upscale but not uptight" as one guest puts it. As an independent property that has to compete not only with hotels but also gated planned communities with club memberships, we chose to provide a host of amenities that typically would not be available at a private home. 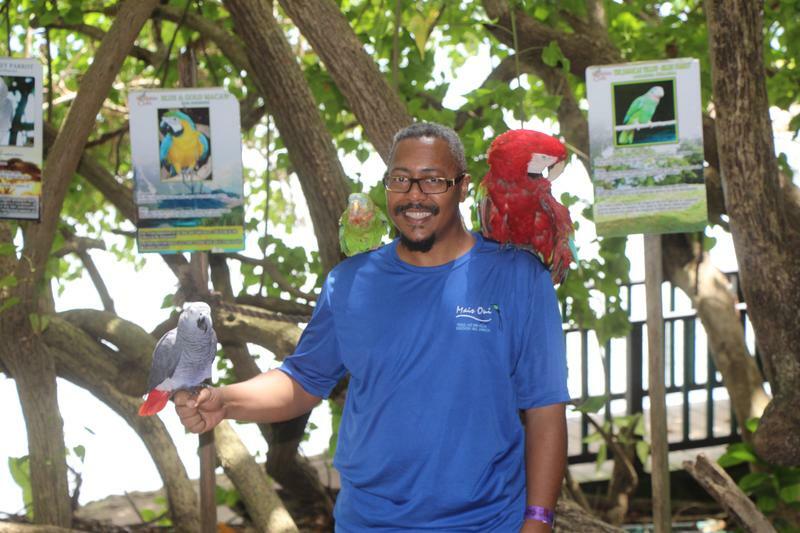 Our previously silent partner, our son, is now growing up and has helped us realize new ways of involving and welcoming children in the Mais Oui Jamaica villa vacation experience. One of our core values is to enhance the lives of the Jamaican people. One way we do that is through our commitment to our staff. We have about 12 people, some full-time, some part-time, who work with us as a team, to make the Mais Oui experience a reality. We work very hard to have guests stay with us so that we can in turn afford to keep our staff employed thereby contributing positively to their lives and the local community. I've been to Jamaica loads and loads of times. I've also been to many other places too but the villa is my favorite, especially when my cousins are there with me! There are lots of things to do at the villa. My favorite thing is the pool. I love the chess set, even though I am just learning to play. We watch movies. As the director of fun for the villa, I have a stash of toys and games there. There are plenty books to read too. I help to feed the fish. I love playing ping pong, pool, foosball, going to the beach and making sand castles with my dad. I love the food the villa chef makes. When I am home, I love to make my own grilled cheese sandwiches, but when I am at the villa, it is bun and cheese that I love! Another cool thing is that we go to the best places. We even went to a restaurant where we were eating right on the beach. That was so cool. Wait! Our friendly staff wants to say hello, too!